During the 13th century, English prelate Sir John Schorne cast the devil into a boot to protect the village of North Marston in Buckinghamshire. If true, it explains why the French call a jack-in-the-box “diable en boîte” (“boxed devil”). 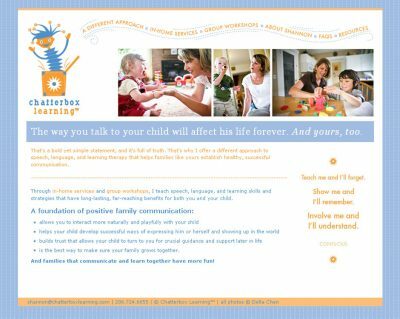 Shannon Salverda’s new two-color web site for Chatterbox Learning pops just like her logo.